I've been wanting to check out this restaurant for a while now and it did NOT disappoint! 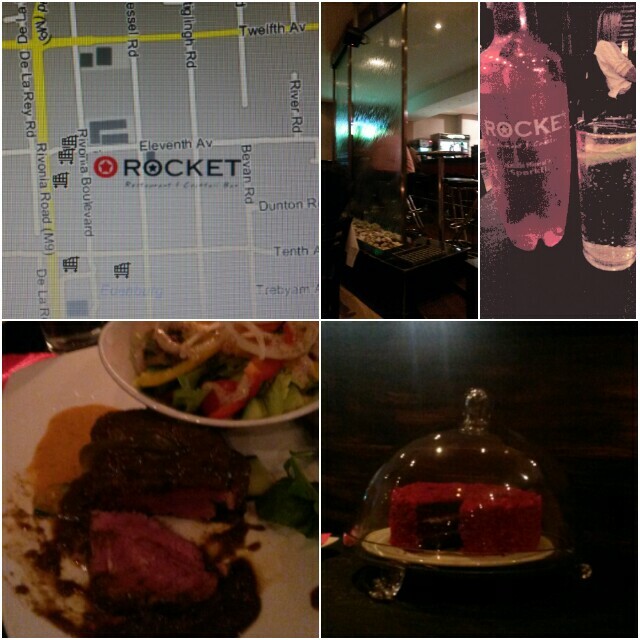 Rocket is a great dinner time restaurant in Rivonia. Unlike many restaurants in the area, parking is not a problem. Anywhere I have to parallel park or walk a mile to get somewhere automatically puts me off the place! 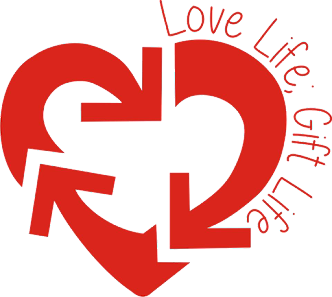 The decor is red and black which gives the restaurant a romantic ambiance. Although it was very busy the tables are far apart from each other so it never feels crowded, even at full capacity. The menu is fantastic!! Whether you feel like eating a salad, pizza, pasta or a big juicy steak, the options are all equally as delicious! I ordered a steak and it was divine! My only complaint is that there simply wasn't enough on my plate! Granted I had a side salad and if I were to have had chips or another starch I probably would have found it more filling. Basically the menu is great, the decor is great, the restaurant is great. 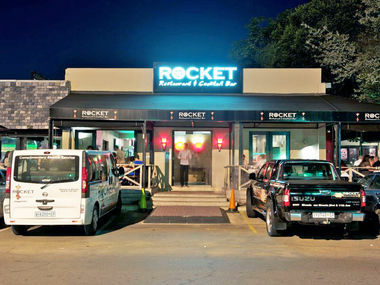 They also have another restaurant in Parkhurst which promises to be just as good if not better than the Rivonia branch. 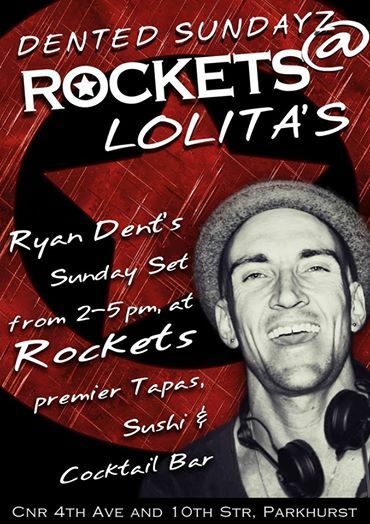 There is also a cocktail bar there which apparently has half price cocktails every Sunday as well as Dj Ryan Dent on decks from 2-5pm. I will definitely have to check this out and get back to you all!